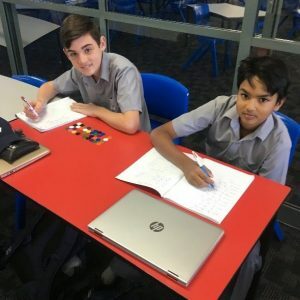 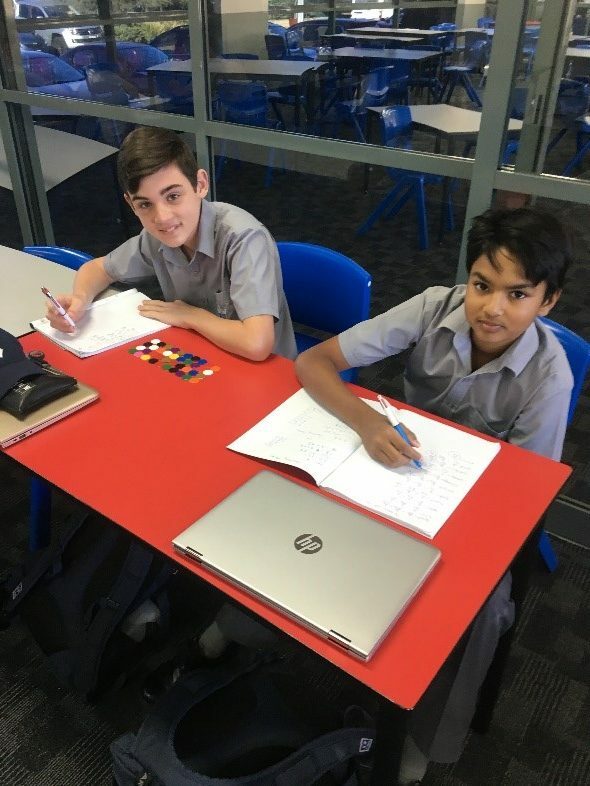 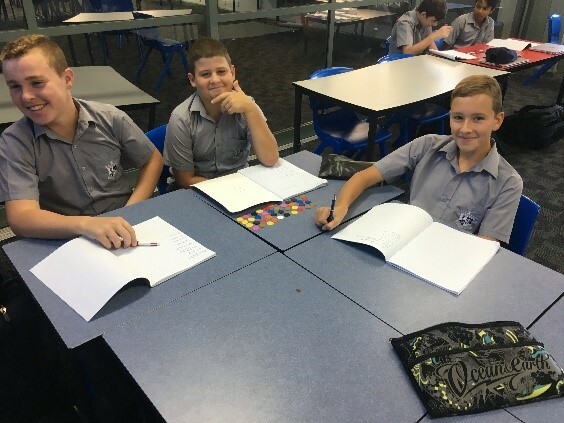 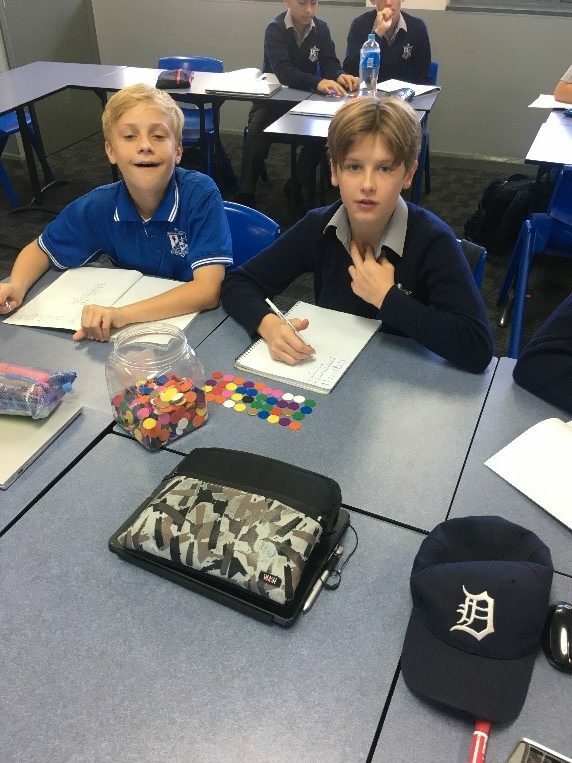 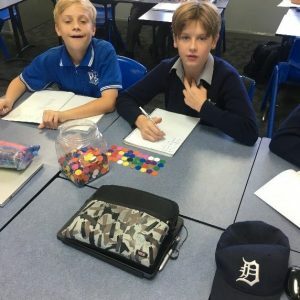 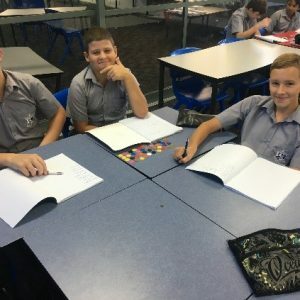 Year 8J Maths class has started investigating Fractions. 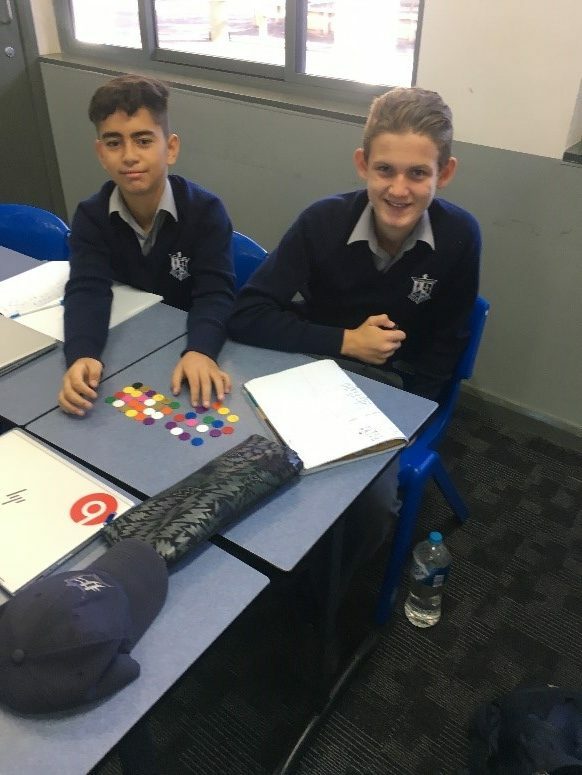 In this task the students had to make a 4 by 10 array using coloured counters. 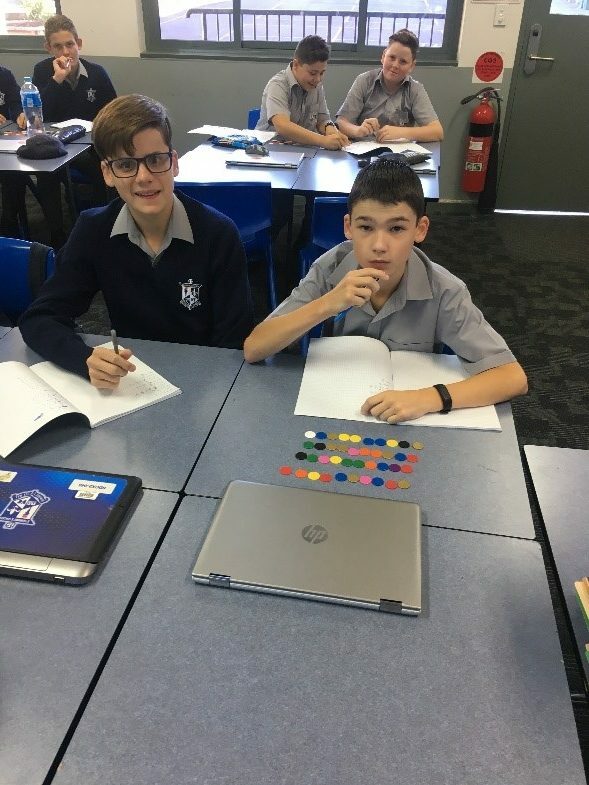 Once done they had to determine what fraction each colour was of their collection, write down the fraction and then see if they could simplify this fraction. 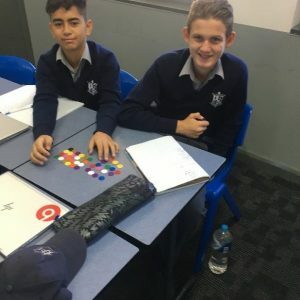 This then enabled them to see which fractions would fit together to make a whole. 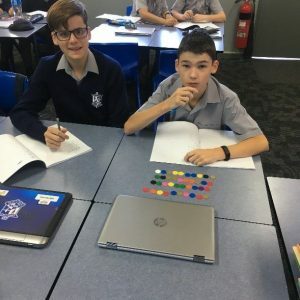 An enjoyable, hands on learning task.